Even the Easter Bunny himself would have a difficult time crafting a bouquet as perfect as this one! 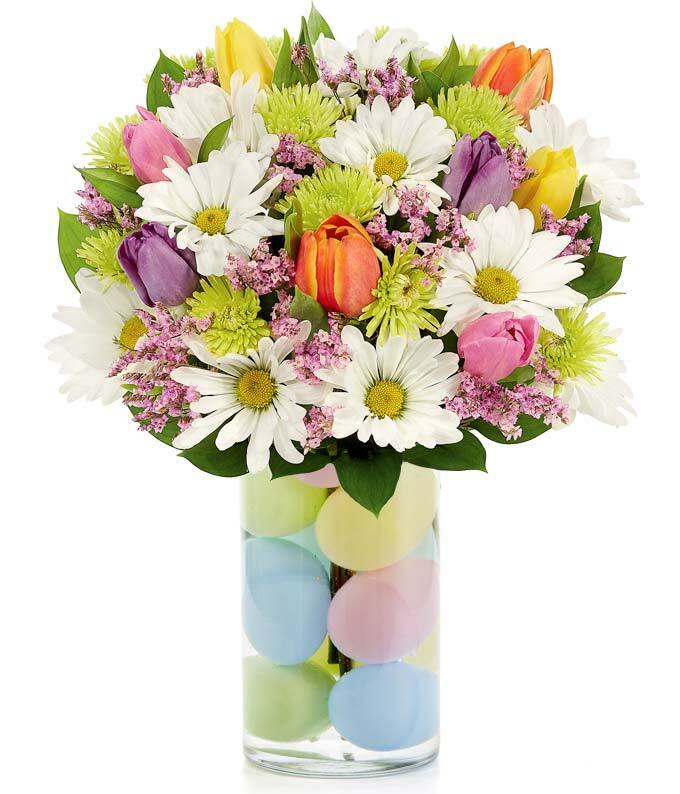 Tulips, daisies, anthos and limonium are skillfully arranged in a clear vase filled with Easter egg decor. This unique arrangement will make any Easter celebration even more delightful! Measures 12"H X 9"L.